Ever since the beginning, a constant tension develops the sound of Network of Lines, staying true to its name as it gradually points towards an uneven, relational growth of musical ideas that play off on each other without ever fully drawing apart. The tension is generated by a sort of underlying playful violence that the sounds enact on each other, never really gelling together, never at ease into the forward-thinking of a melody or the sheer enjoyment of the present that its jazzy elements might connote; no, these sounds are at war, which is to say they shift genres as a gesture of conflict, opening up a whole environment of connections out of which a unity could only be conceived of from afar, from outside. Sure enough, we can call this an album in the traditional sense, but once the music starts it seems to be something else, something that doesn’t quite relax into a fully-fledged form, something that is always already both falling apart and keeping together, an illusory yet true communication that conveys no more and no less than the sum of its parts. This work by Australian composer Tilman Robinson is based upon a novel by Italo Calvino called If On a Winter’s Night a Traveller, a book that unfortunately I have not read, which will leave this review lacking in that department. However, guided by other Calvino texts, it might be safe to take the idea that Network of Lines is (possibly) more about the experience of listening than anything straightforwardly musical and run with it. 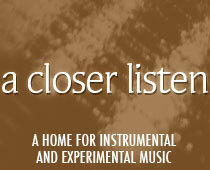 If so, it provides an ample setting under which to hear the entire thing as an exercise in ‘how music is made’ by means of pitching ideas and sounds into a constellation of conflict, one in which a strings-driven post-rock section seemingly out of a Bell Orchestre record fundamentally wants something different than what an atonal short horn part wants to achieve, both emotionally and intellectually, and yet they both evolve from mutual interaction. Robinson’s mastery consists here of making this sound like a coherent progression, skilfully avoiding the dangers of musical mash-ups that often plague those who attempt such an approach. The key, it would appear, is this conflict, articulating all those elements at odds through what they fail to be, creating a set of relations in which a Balkan dance becomes an entryway into melancholy, in which an ambient section stops dreaming and grows ever more focused, in which minimalism is but a mask for an underlying mess of noisy improv. Going further into this idea, the album cover seems to depict a unified whole, a totality in harmony. 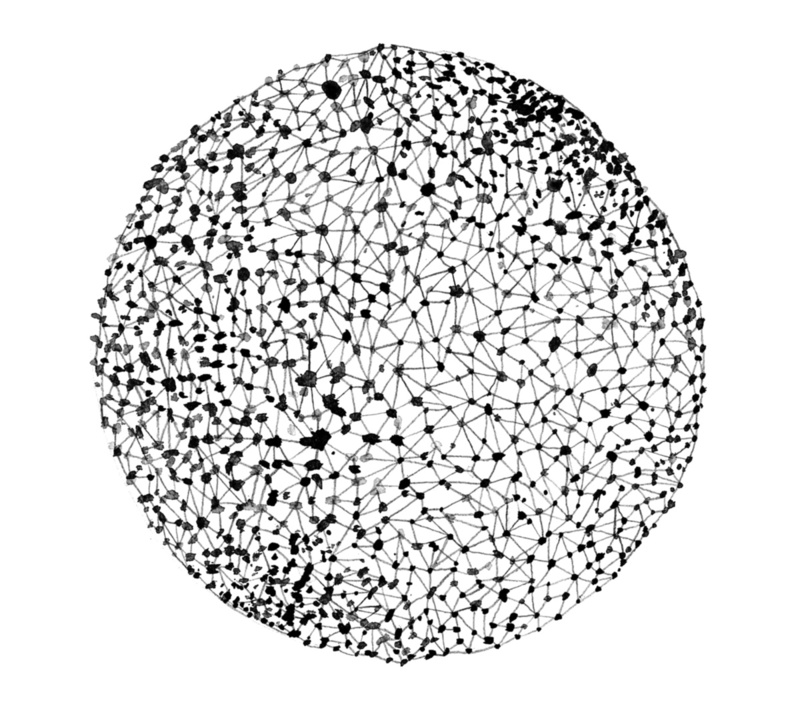 Nevertheless, if looked at from a close distance, the complexity of the network is revealed in all its disparate glory, with differing, often asymmetrical lines connecting dots of varying sizes and degrees of closeness. It’s an incredibly chaotic image, and yet, it works to give the viewer the certainty of the whole, a whole that is not at all similar or compatible with the conventional understanding of a totality as totalitarian. This is Network of Lines‘ anarchic flow, a mass of sounds that play at war, that never fully let go, never fully disappear under a ‘general direction’ and are therefore constantly drawn into a game of strange, non-organic musical growths that encompass everything between post-rock and modern composition.